Aurum Group, a diversified industrial and investment group, in the current year has already invested over UAH 16.1 million within the framework of the program for agricultural equipment modernization, a press release of the group reads. “Developing the agricultural sector, we plan to use innovative agricultural technologies and this year we have invested more than UAH 16.1 million in modernization of agricultural equipment. 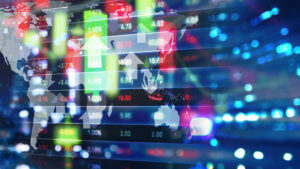 Part of these funds is the group’s own resources, as well as bank financing,” founder of the group Olena Lebedeva said. Today, Aurum Group’s agricultural enterprises cultivate more than 12,000 hectares of land. “Since 2018, FUIB has been working with Aurum Group to finance building freight railcars based on Diesel Plant, and in 2019 they began cooperation with the agribusinesses of the group: the bank transferred agricultural equipment worth UAH 12.4 million to Aurum Trans under the terms of financial leasing,” head of the financing leasing department at FUIB Volodymyr Rudenko said. Aurum Group was registered at the end of 2016. Its core business is engineering, rail freight transportation, industrial pump building, chemical industry, investment in real estate, and the agricultural sector. Today, the group exports its products to the CIS countries, the Middle East, the United States, and China. Ukrenergo on February 4 will disclose tender proposals submitted for the tender to purchase hardware for the balancing electricity market, which is launched from July 2019. According to the company’s website, the launch of a new model of the wholesale electricity market with a division into a number of segments (a balancing market, a day-ahead market, an intra-day market) is scheduled for the second half of 2019 in accordance with the law on the electricity market. At the end of December 2018, Ukrenergo held a pre-tender meeting with potential participants. Currently, eight companies have acquired tender documentation, in particular, from Ukraine, the Czech Republic, Israel, and Switzerland. Ukrenergo noted that the implementation of the project to introduce the balancing market is divided into two parts: the purchase of software and the purchase of hardware (Lot 3 “Telecommunications Infrastructure”) as part of the package UE/5 “Implementation of the Balancing Market”). “Such a division is made in order to purchase software for the entire market platform without being tied to a limited range of hardware vendors. This allows one to purchase hardware at reasonable and competitive prices to deploy the entire market platform software according to its technical specifications,” the company said. DTEK Energy Holding has signed a second contract with U.S. General Electric to supply equipment for Prymorska wind farm with a total capacity of 200 MW, the press service of the holding has reported. The first contract to supply equipment for Prymorska wind farm (100 MW) was signed in December 2017. It will be completed at the end of 2018. The second stage of the 100 MW capacity will be also built in Zaporizhia region. The start of construction is the fourth quarter of 2018. 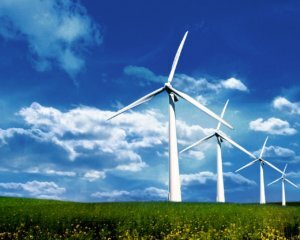 The land wind power division of GE will supply 26 wind power turbines with a capacity of 3.8 MW each to Prymorska wind plant. This model of a wind turbine demonstrates high performance even in conditions of low wind speed. The total planned investment in the second stage of Prymorska wind farm will be about EUR150 million, which is comparable with investments in the construction of the first stage. After the completion of the second stage of Prymorska wind farm, the portfolio of DTEK’s implemented projects in land wind generation will reach 400 MW. “Our ambitions are to build 1,000 MW of solar and wind power plants by the end of 2019. This is an ambitious goal requiring huge investments by the standards of Ukraine. The construction cost of such a capacity exceeds EUR1 billion,” DTEK CEO Maksym Tymchenko said. DTEK Renewables is the operating company that manages DTEK’s assets in the renewable energy sphere. 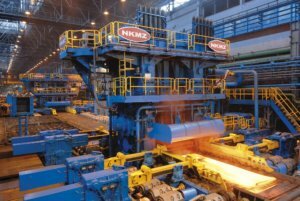 Novokramatorsky Machine Building Plant (Kramatorsk, Donetsk region), one of the leading enterprises of heavy engineering in Ukraine, has shipped equipment for the second stage of reconstruction of the drives of the rough mill of hot rolling at ArcelorMittal Temirtau (Kazakhstan). “The production of complicated equipment was the result of winning a tender with the participation of Danieli and SMS, offering innovative design solutions and providing a guarantee of four years,” the company said in a press release. The purpose of reconstruction is to replace the exhausted equipment and increase its crimping capacity in connection with the rise in thickness of the rolled slabs. In autumn the plant specialists together with metallurgists from Temirtau will start installing the equipment, the total weight of which is 650 tonnes. Novokramatorsky Machine Building Plant specializes in production of rolling, metallurgical, forging and pressing, hydraulic engineering, mining, lifting and transportation, specialized equipment, forgings, and castings. Public joint-stock company Agrarian Fund has signed a contract with Turkey’s Alapala Makina Gida Sanayi Ve Ticaret A.Ş. to supply equipment of a new flour mill. The company said on its website that the cost of the first part of the framework contract is EUR 2.5 million. The sum of the tied loan is EUR 2 million. “The Agrarian Fund has concluded a beneficial contract with the Turkish company Alapala on the terms of attracting a tied loan for a period of three years. In a year and a half, Ukraine will have a new high-tech production facility,” Board Chairman of the Agrarian Fund Andriy Radchenko said. The equipment will be manufactured within six months, then it will be delivered to Ukraine, installed and launched. The mill should be put into operation in 18 months. The production capacity of the future flour-grinding complex will amount to 300 tonnes of grain per day. The enterprise will have with high-tech equipment, which has no analogues in Ukraine. 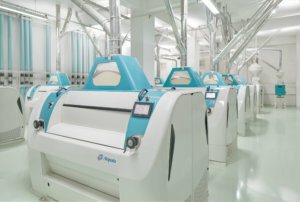 The equipment will allow expanding the product line (bakery, confectionery mixes and vitaminized flour). Now the Agrarian Fund considers four areas where the future flour milling complex can be built – Kyiv, Cherkasy, Kharkiv or Vinnytsia. PJSC Agrarian Fund was created in the spring of 2013 under a government resolution. 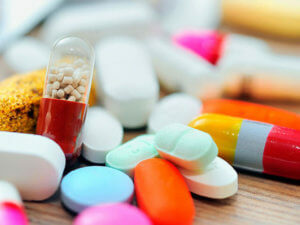 Ukraine should simplify the procedure for import of medical equipment and medical products for signing long-term contracts with foreign producers after the completion of international purchases. Country Manager for Region Emerging East at Medtronic Stefan Linder told this to Interfax-Ukraine at the opening of the Odrex heart clinic in Odesa on Thursday, April 12. Medtronic is one of the world’s largest companies engaged in the development and provision of medical technologies, services and solutions to relieve pain and restore health. Medtronic is headquartered in Dublin, Ireland. Medtronic provides services to doctors, medical institutions and patients in more than 160 countries.